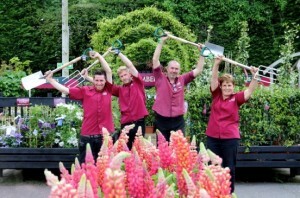 In a recent survey of over 1,600 people by Squire’s Garden Centres, 81% of people questioned said that they never stretch or warm-up before gardening. Squire’s employees have taken this to heart, and some now start the day with exercises using spades and forks to help with their stretching! So make your gardening workout even better by having a 5-10 minute warm up and stretch first to help avoid aches and pains afterwards.